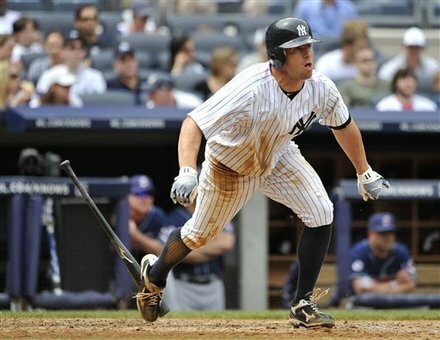 I’m sure I’m not alone when I say that this is a bittersweet time for Yankee fans. It’s especially tough for my generation of fans, I think, because one of the constants of our life as Yankees fans will no longer remain. Obviously, it was inevitable – but when stuff like this becomes official, I can’t help but to be emotional. I’ve been watching Yankees games for as long as I can remember, and throughout my life as a fan, Jorge Posada has been there. 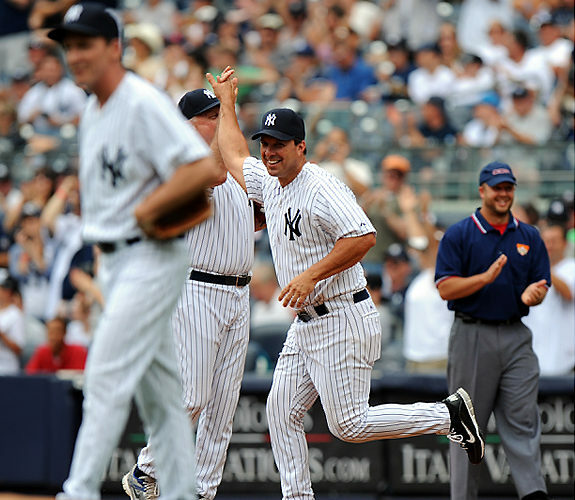 My first group of favorite players was Tino Martinez, Jorge Posada, and Andy Pettitte. Two of the three are gone. Now that Posada has officially planned to announce his retirement, he’ll move on as well, leaving me with that sense of bittersweet nostalgia. 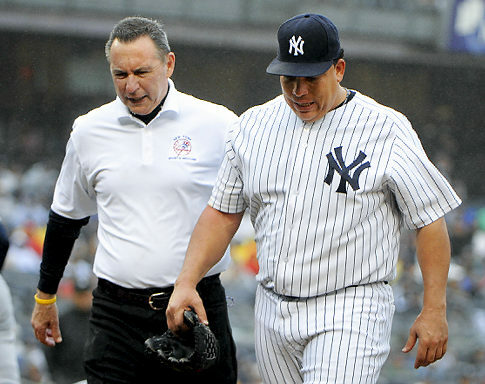 Jorge, I’d like to thank you for your 17 year-service to these New York Yankees. You’ve been making an impact for my entire life, and it’s going to be weird knowing that you’d no longer be there. 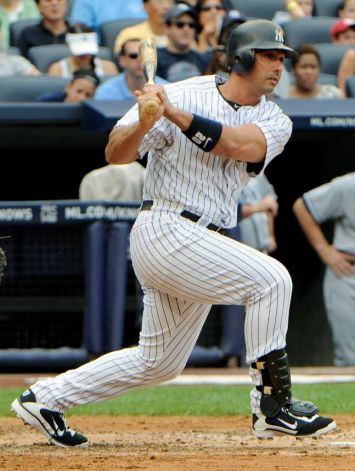 There are so many things I’m going to miss about Jorge Posada. 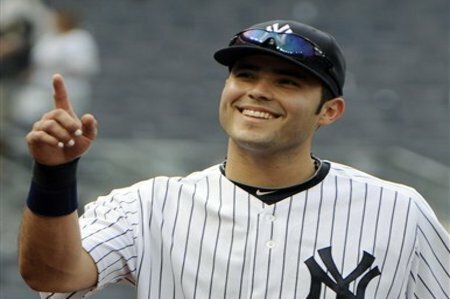 His production for the Yankees is the most obvious reason to miss him. In fact, I think he has himself a fair case for the Hall of Fame. When we think of potential Hall of Fame catchers from this era, Mike Piazza and Ivan Rodriguez come to mind. 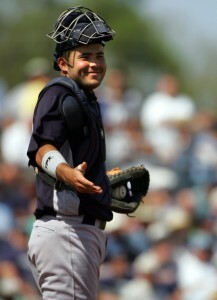 But I feel that Jorge Posada should be right in the mix of this discussion. Especially for the catching position, defense is important. Posada perhaps has not been known as a star defensive catcher, but in certain areas, he has been significantly better than Piazza and Rodriguez. Of the three, Rodriguez has committed the most errors behind the plate with 137, but he does have the longest career of the three. Mike Piazza committed 124 errors in his 15 years as a catcher, 5 less years than Pudge. 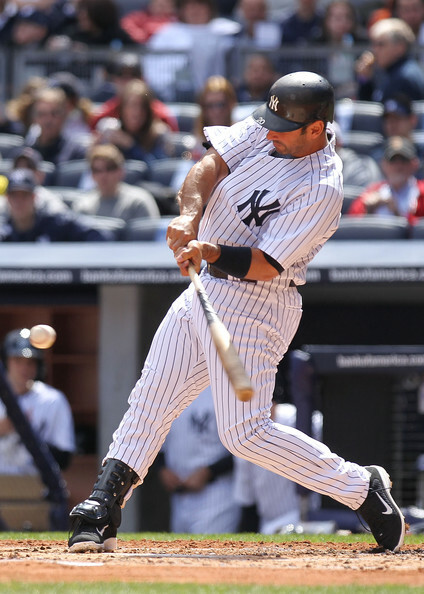 But Jorge Posada blows them away, having committed just 88 errors in his catching career. Posada also has the best fielding percentage at .992. And Yankees fans will always remember May 17, 1998, the day of David Wells’ perfect game, which was caught by none other than Jorge himself. 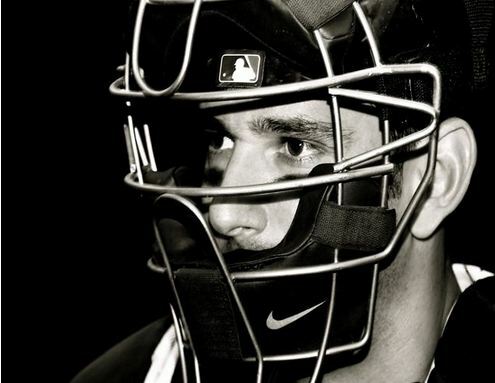 Posada also has been a weapon with the bat, having hit the most home runs since 2000 by catchers with 240. He has exceeded the 1,000 RBI plateau, with 1065 for his career, to go along with a more-than-respectable .273 average, all while playing in baseball’s hardest division for the team in the city that expects you to perform like no other. Jorge’s presence will surely be missed. A switch-hitting power hitter that can fit right into the middle of the lineup? Definitely the kind of guy all managers would enjoy penciling into the lineup on any given day. But it’s not just his offensive presence – it’s his attitude, his passion for the game and for his teammates, his ability to be a leader in the clubhouse – that’s what the Yankees and I will miss the most about Jorge Posada. Posada always had a certain toughness about him, and I love that in a man. If you mess with a Yankee, you’re going to mess with Jorge. 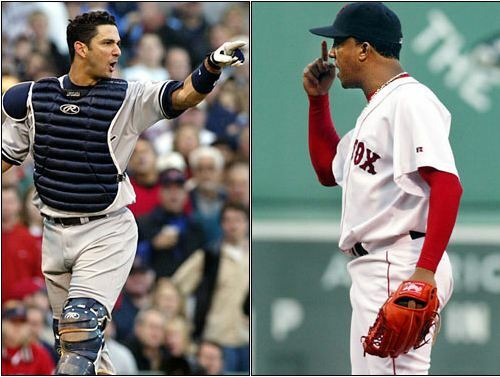 I’ll never forget the animosity between Jorge Posada and Pedro Martinez. Game 3 of the 2003 ALCS, the Pedro-pushes-Don-Zimmer incident, and the subsequent fury of Posada – just one example of Jorge’s passion. 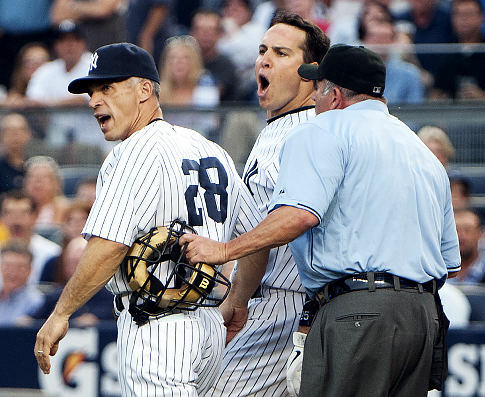 2011 was rough for Posada both on and off he field. I think much of his struggles this past season were due to him being preoccupied worrying about his son, who had to have another surgery in June. Jorge and his wife Laura have a charity dedicated to helping families who have children with craniosynostosis, yet another reason to love this guy. The best thing about that was seeing Jorge catch Howie Kendrick trying to steal. He also picked up a hit that day. 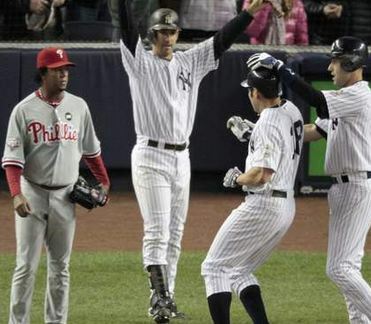 And although the 2011 didn’t end the way Yankees fans had hoped, Jorge Posada was strong in the final stretch. 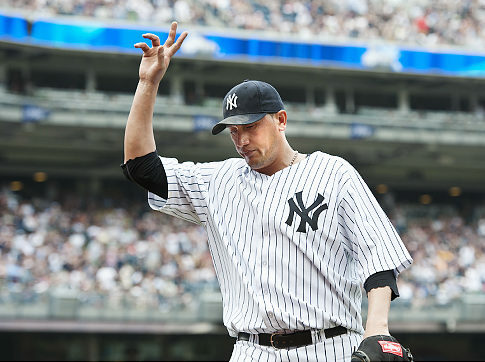 On September 21, he delivered, coming through in the clutch with a pinch hit, go-ahead two-run single in the bottom of the 8th inning, giving the Yankees the lead in the game that clinched the AL East Division title. In the postseason, though unfortunately cut short, Posada was the most lethal hitter on the Yankees. He hit a sizzling .429 in the ALDS, proving that when the stakes are high, he rises to the occasion, and even exceeds expectations. It was a fitting way to end his career. 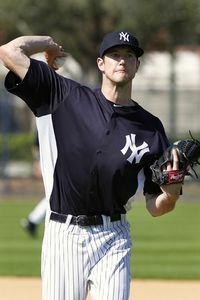 I hate to see him go, but at least he’s going as a Yankee. Jorge, Yankees fans will never forget you. 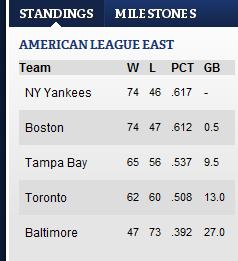 Consider this the ending of one of the many chapters of your Yankee life. I’m confident that I’ll see you again involved with the Yankees in the future – you’d be a killer manager. Thank you for everything, Jorge. 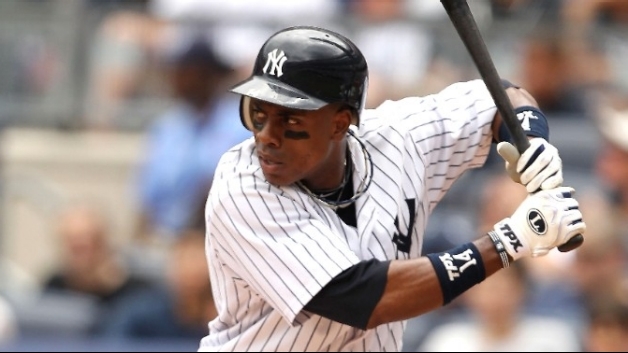 Hitting the first home run in the new Yankee Stadium, being a 5-time All-Star, 5-time Silver Slugger recipient, and being a 4-time World Series Champion. 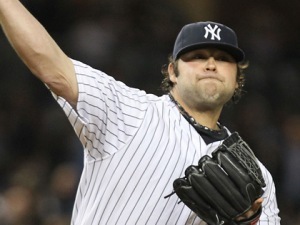 But most importantly, thank you for being the Yankee and the man you were. 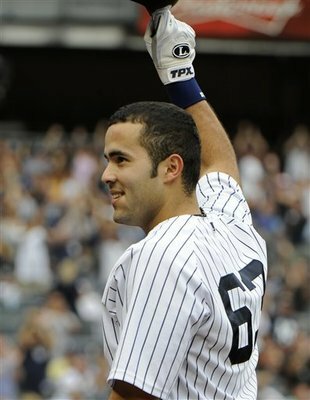 You’re one of the main reasons to why I grew up as a Yankees fan. I love you. Best of luck in your future, Jorge. So yesterday was my birthday…the big 18. 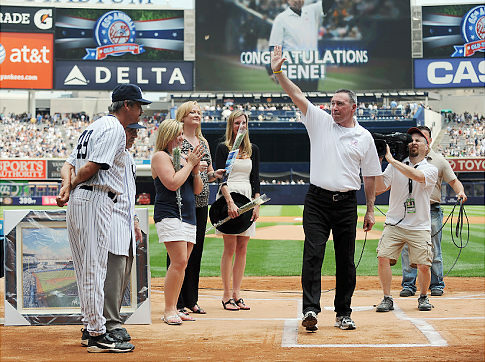 I had already received an amazing surprise, which was the Yankee game I went to last Thursday. I had a lovely day and a nice weekend with my family, who always make my day special. Was it selfish to wish for one more thing? Maybe, but I was entitled to a wish when I blew out the candles. 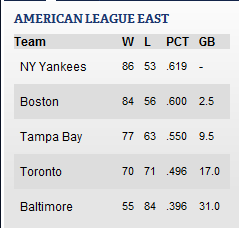 I don’t know if I should go crazy bragging like I did last time the Yanks sat atop the division, but you know…obviously it’s nice. And they did it just for me. 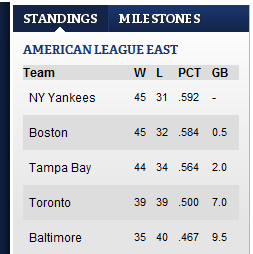 A friend wrote on my facebook for my birthday that it’d be nice if the Yankees could move into first place just for me. And they did. Thanks boys! I hope you can stay there. So my birthday was fun…it’s weird being LEGAL haha. It’s one of those special ages. The Yankees have a guy reaching one of those special ages, too. This season has been tough for Jo-Po, and tougher for me to watch. I still think his struggles were because he just couldn’t accept the DH role. He was used to being involved in every single play. Then he found himself sitting on the bench, when he knew he could still catch. It’s sad when guys like Jorge get pushed aside. He’s not the player he used to be, and watching a legend (in my eyes) decline is never easy. But on Saturday, this old guy showed why we love him so much. He knocked in 6 runs, 4 via a grand slam, and he looked genuinely happy doing so. Jorge, I hope tonight is a good one for you. I hope the team does for you what they did for me – win – and that you are a part of it. Thanks again, Yanks. Keep up the good baseball! 3 wins in a row, let’s make it 4 tonight!